Quiet and boring Ra'anana - is that so? Usually I have much more motivation to pull out my sketchbook in Tel Aviv or Jerusalem, where I always feel like a tourist. But actually, sketchbook helps me to feel like a tourist in the city I live for the last 20 years, know so well all its corners, and looks like there is nothing special about it. 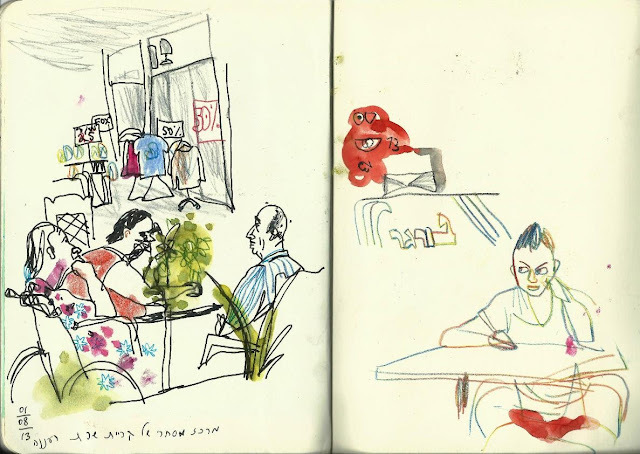 Here are sketches I drew in Ra'anana during the August, all of them done between running errands and I didn't choose the spots. 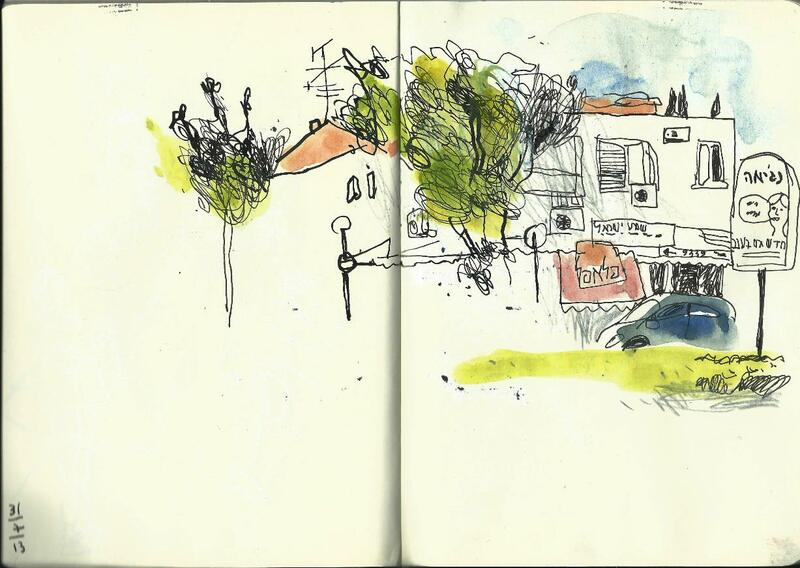 I've always liked this small city, but drawing it is definitely the way to fall in love with it! Nothing is better than beaches, especially at the end of August. 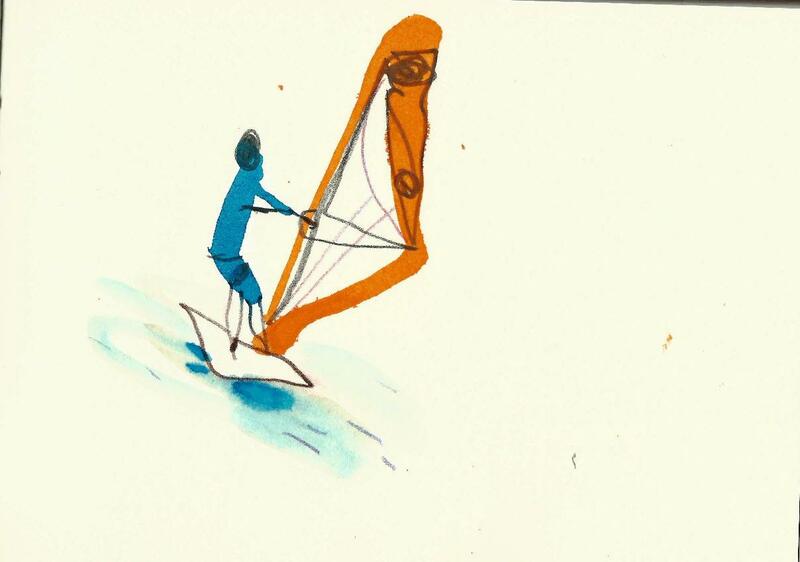 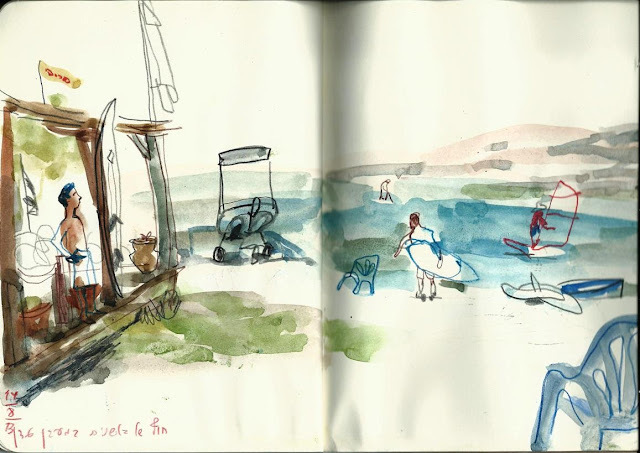 They are still keep some freshness from the sea, a bit of breeze, salty air and... full of small stories to sketch. 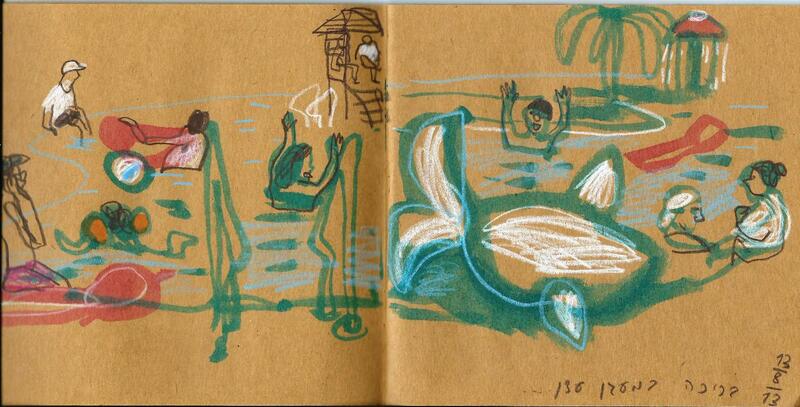 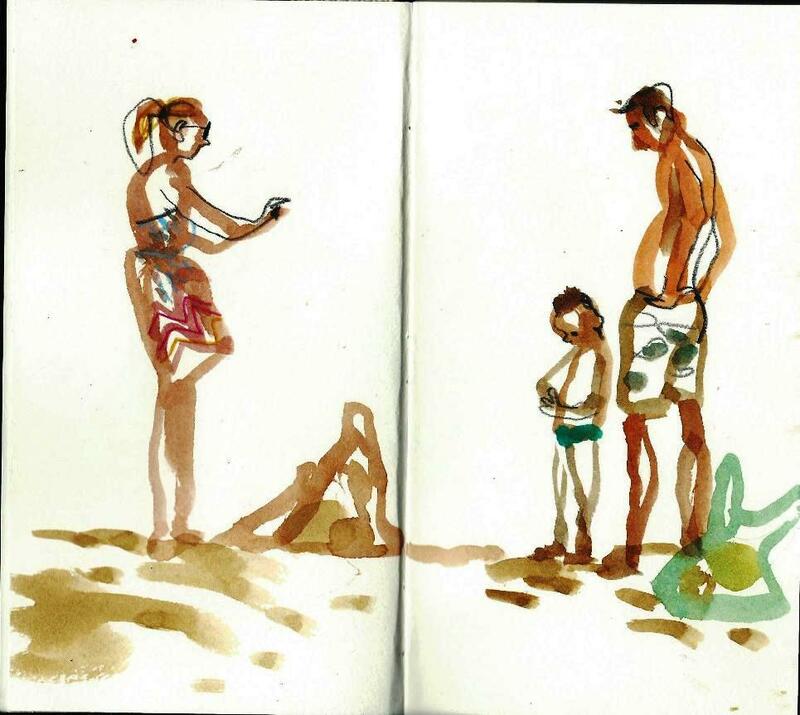 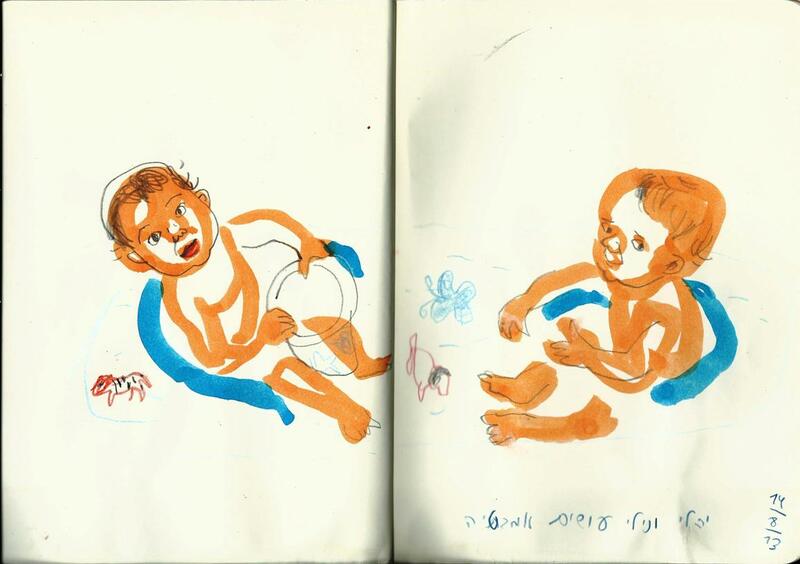 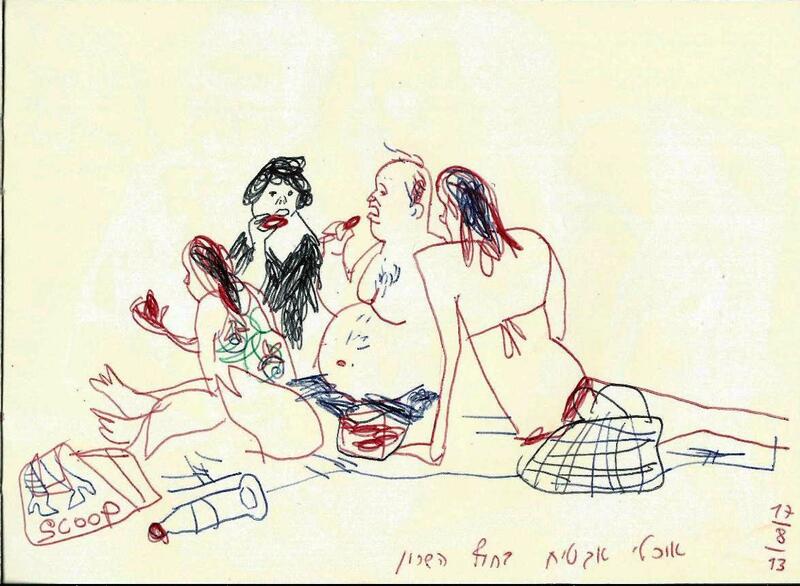 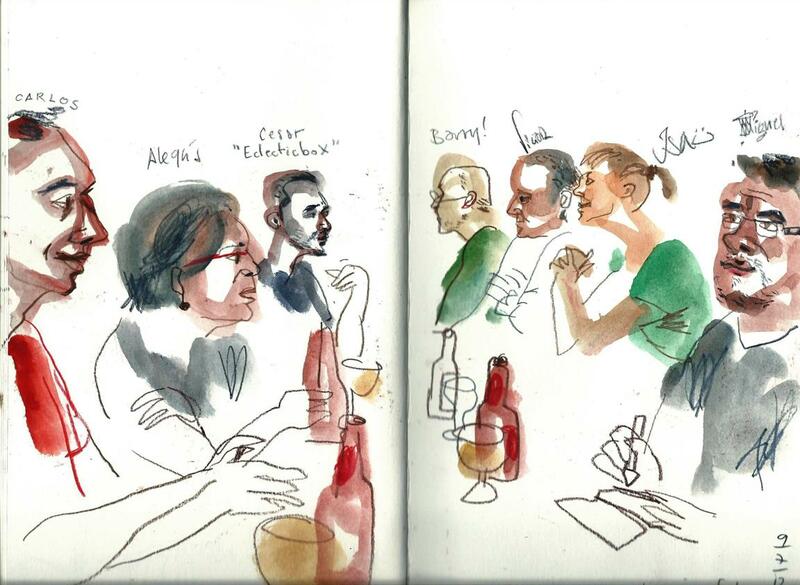 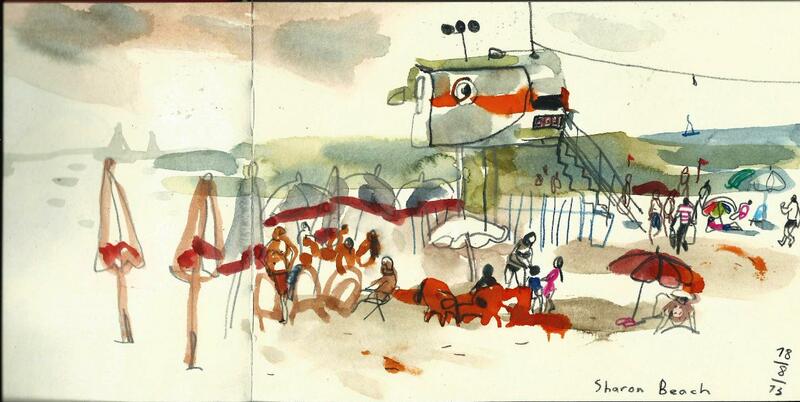 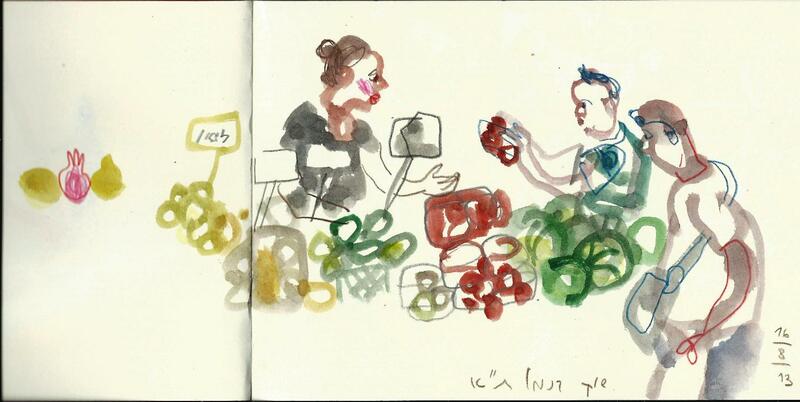 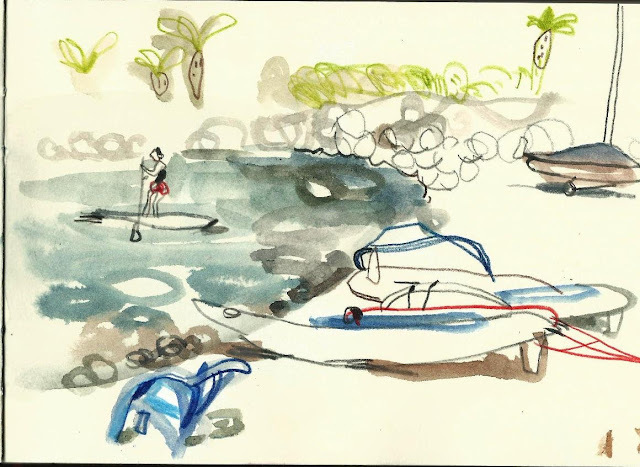 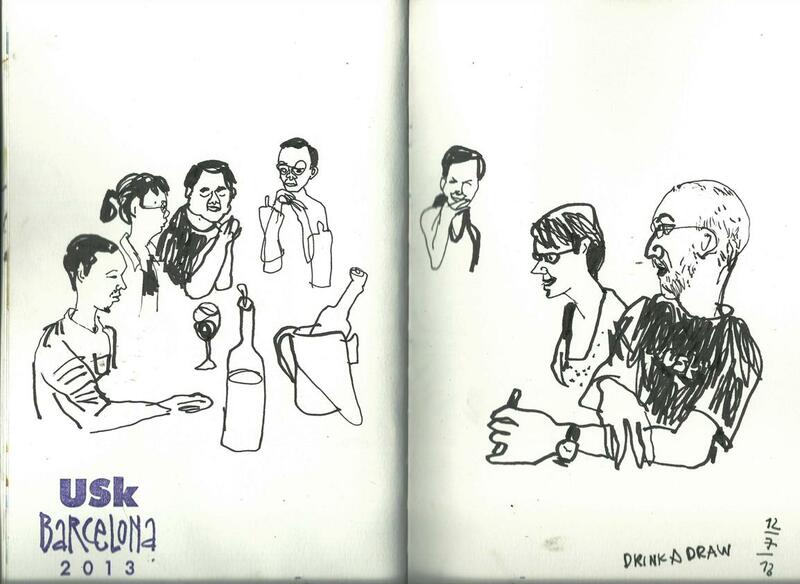 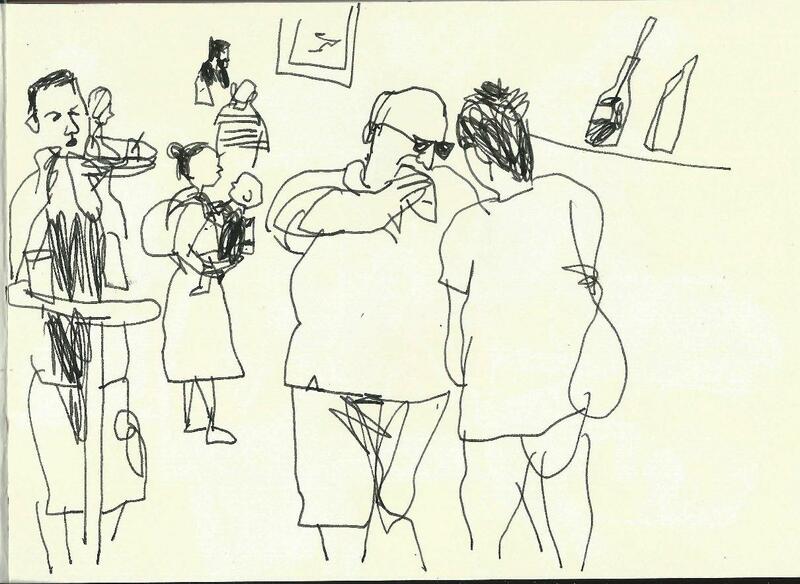 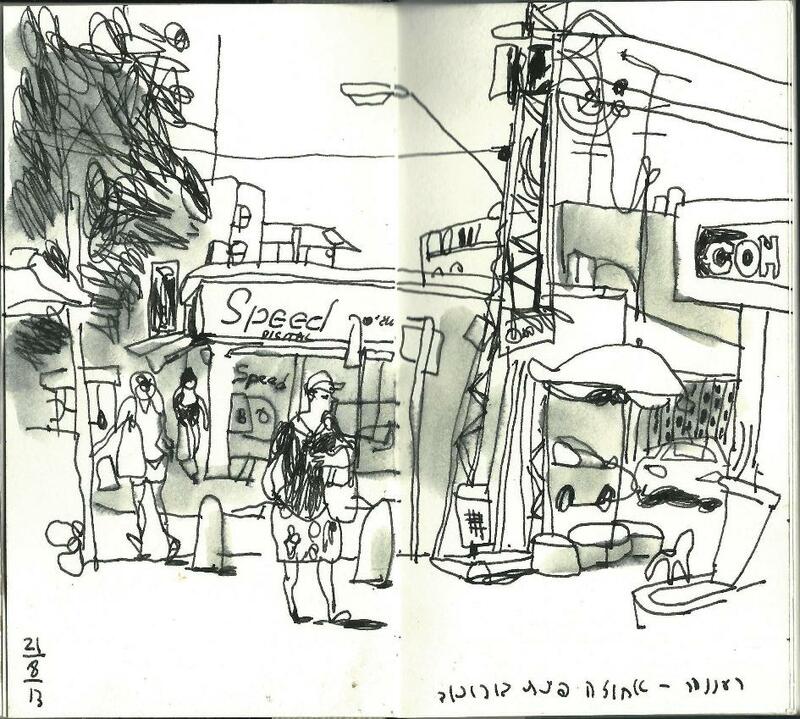 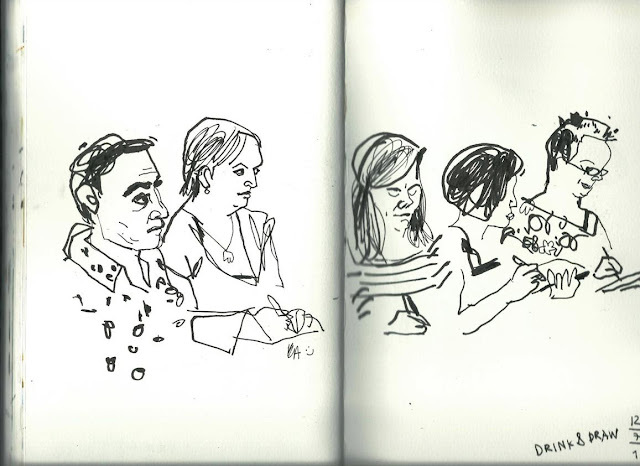 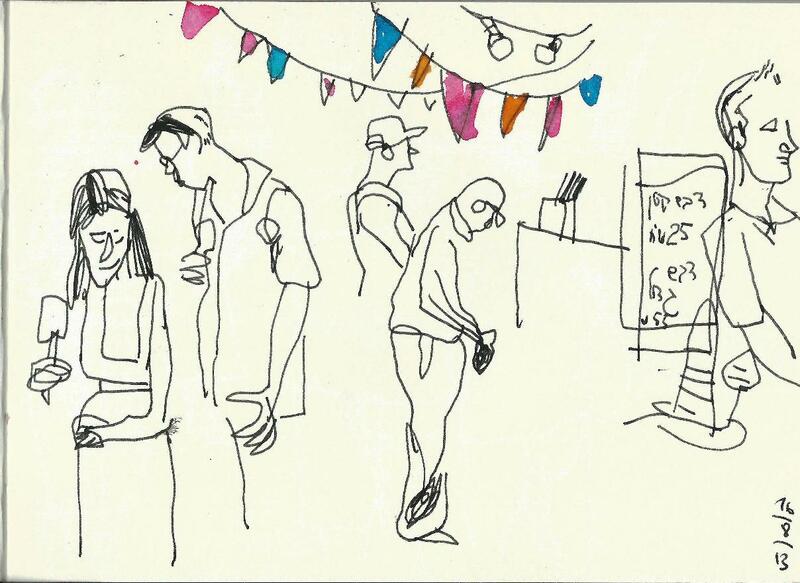 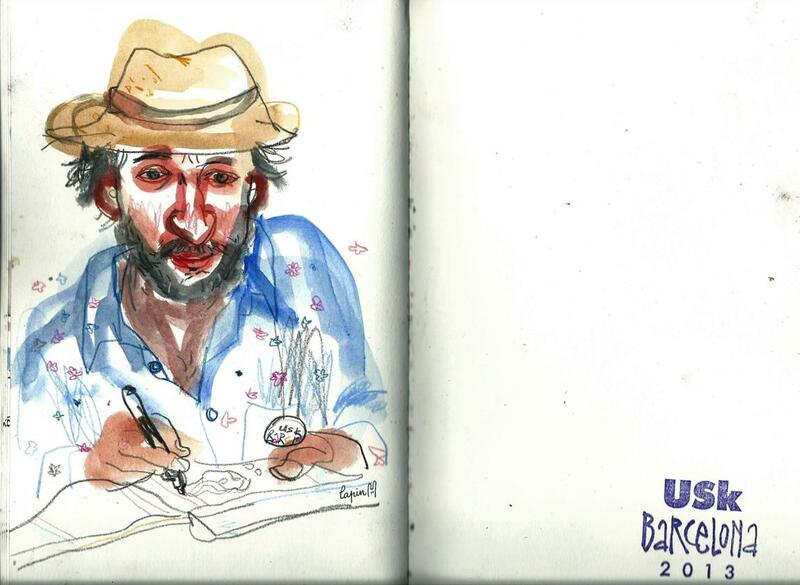 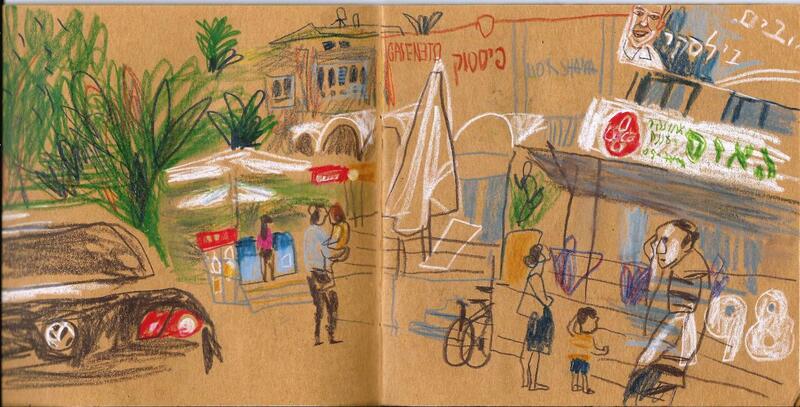 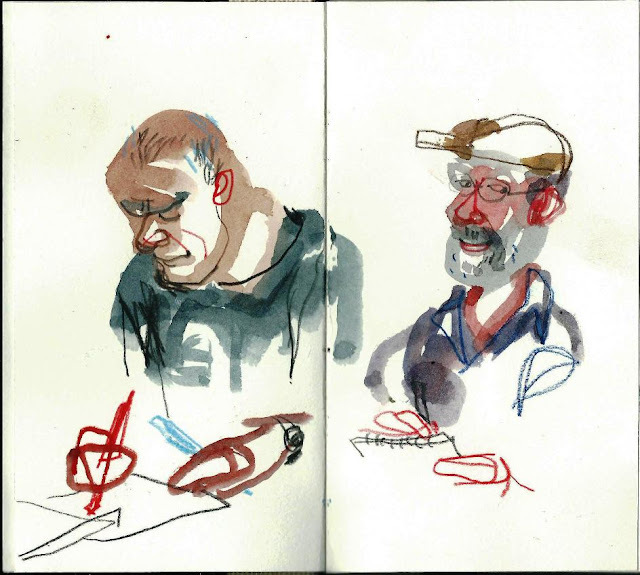 Last Friday our Israel USk group met for sketchcrawl at the Tel Aviv port. 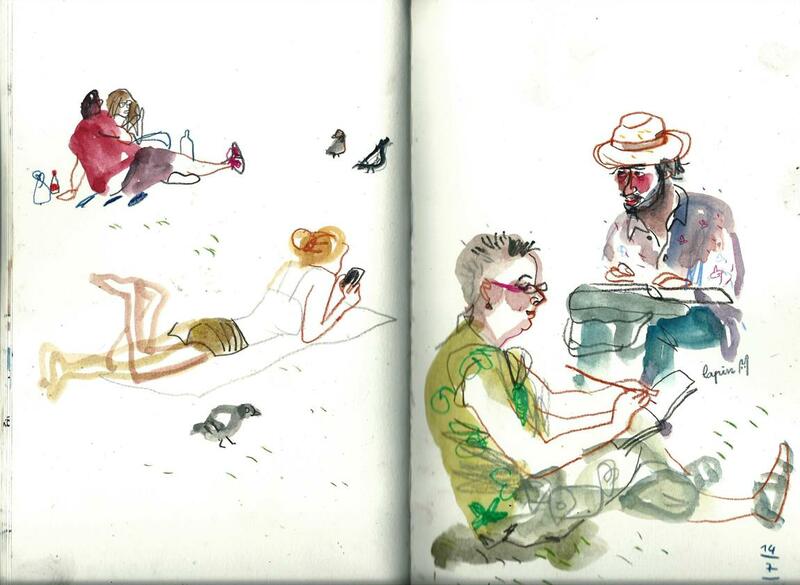 Hot August days, melting everything on their's way, didn't leave us much choice, we needed to meet at some air conditioned place. 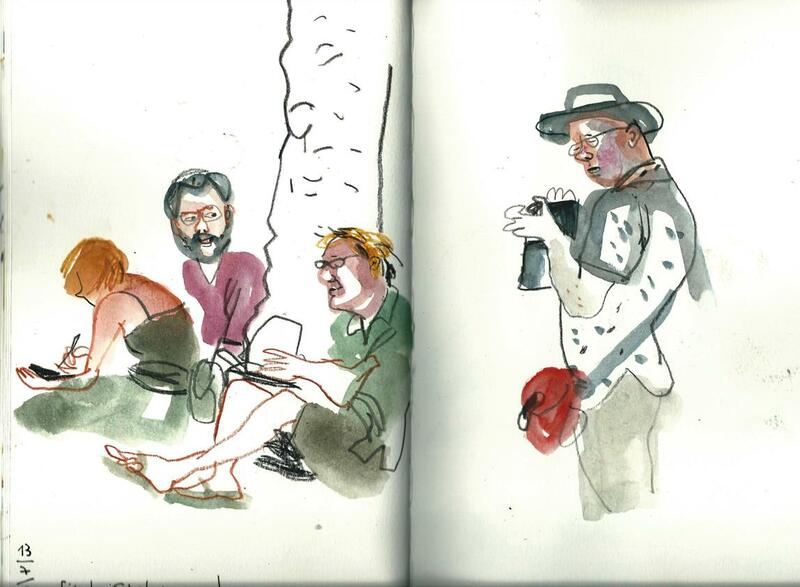 We set our meeting at a coffee shop inside of a big book store, but very soon our group dared to get out and occupied a pretty big space under umbrellas near tables. 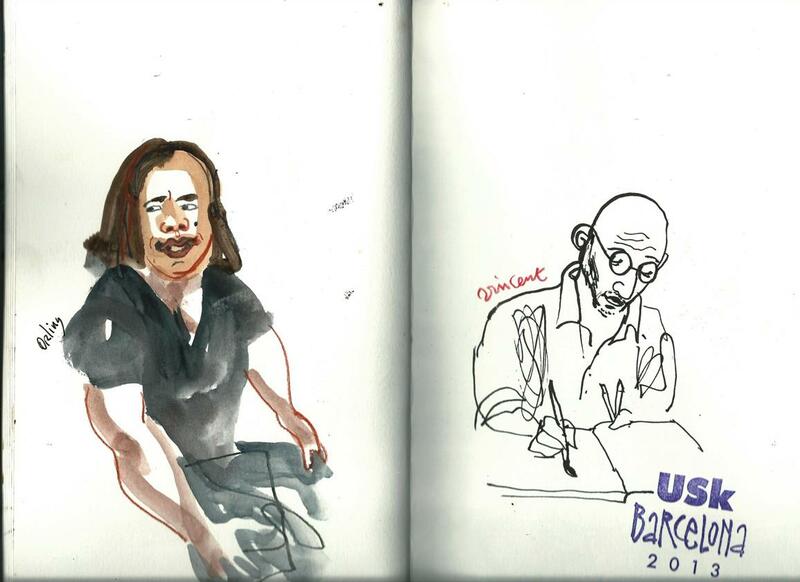 I brought some materials and stories to share from the Barcelona Symposium. 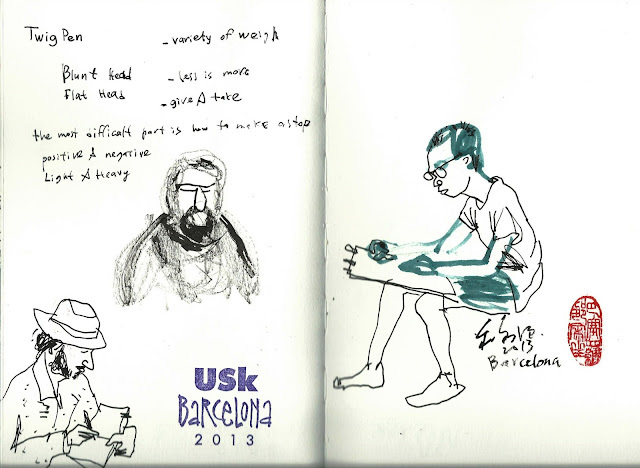 I knew it was an impossible mission, but I wanted so much to share a bit of that incredible atmosphere, enthusiasm, and feelings we had at BCN. 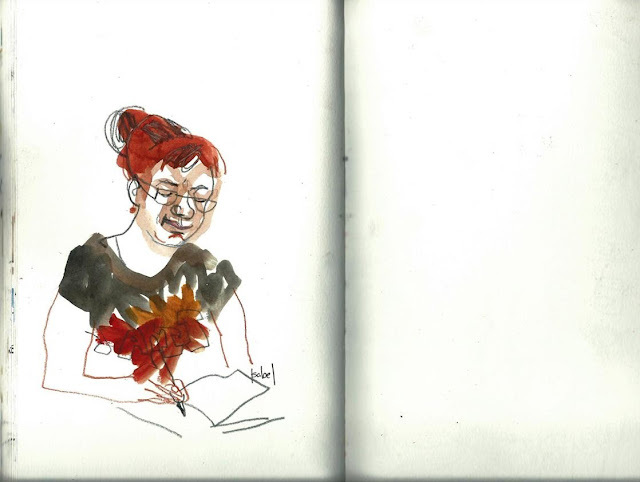 Then we started to warm up by sketching each other. 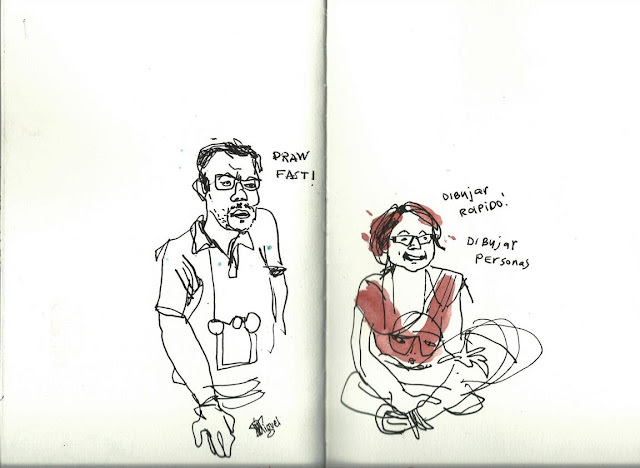 Waiting for the next sketchcrawl! 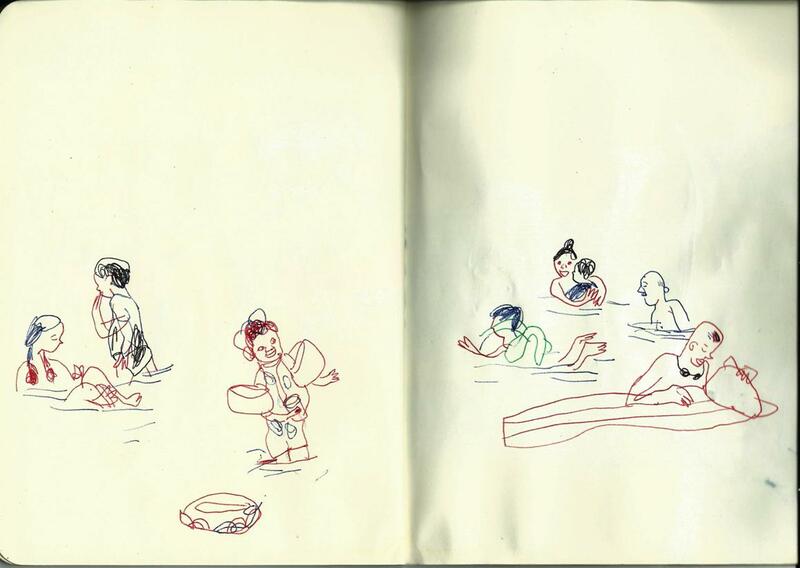 and the swimming pool, of course! 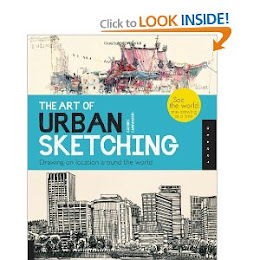 As you know, I'm not an architecture kind of sketcher. I do sketch urban environment, it serves me as as a stage for my stories, I even enjoy sketching buildings some time, but my main "heroes" usually are people. During Symposium intensive days, meeting up with other sketchers - with some of them again and with some of them for the first time - was the most exciting and fun part for me! 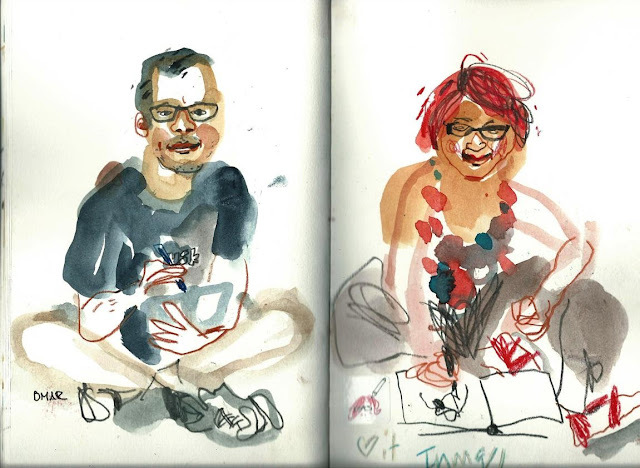 I wish I could spend more time with each one for sketching and chatting together, and there are so many that I didn't manage to be with, so I need to wait for the next opportunity.